Gather a bunch of people together in a waiting room or a line up, and eventually people start talking to one another about what brought them there or what’s going on in their lives. We all long for connection, especially in difficult times. We all long for common ground, especially when we feel alone. When my ladies coffee group meets early on Friday mornings in a nearby coffee shop, we are united on three fronts: caffeine, friendship and faith. We all know we need the caffeine to help us wake up. We all love having friends to connect with—who listen to us and whom we feel safe sharing with. We all know we are His treasures, and we remind each other of that truth when faced with hard times. We joke, listen, and pray for one another. We refresh one another as we gather together. We miss one another when someone is sick or on vacation. God loves it when we can see past our differences, and unite over what matters most. 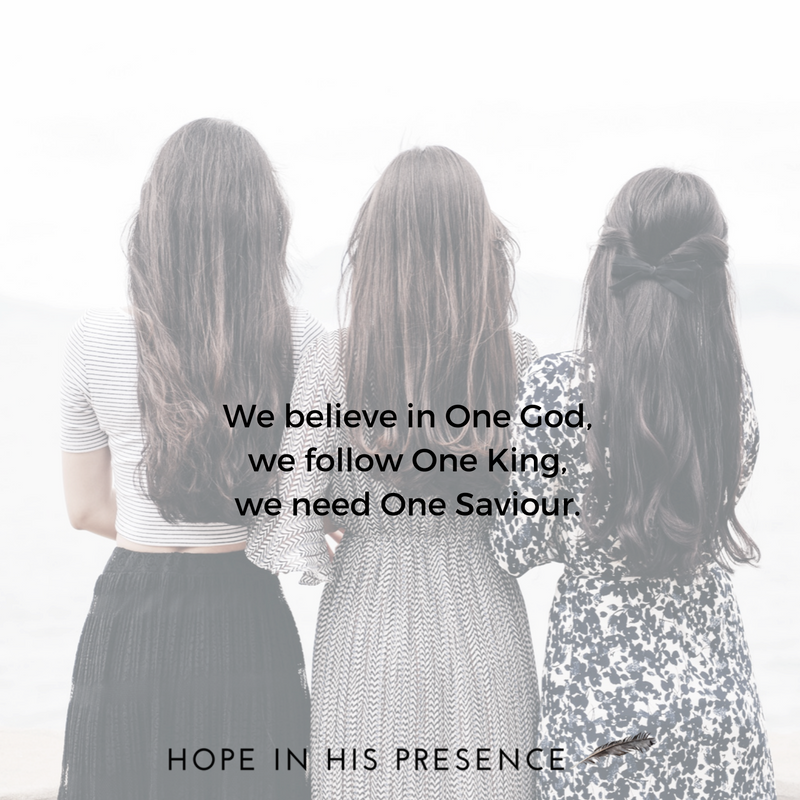 But God especially loves when His children unite as they gather and proclaim: we believe in One God, we follow One King, we need One Saviour. We may like different flavours of worship or versions of the Word, but Who we worship remains the same, and His Word remains His, despite language nuances. By letting what doesn’t matter fall to the floor, we are left together focusing on Who matters most. And in unity on what matters most—loving God and loving people. This blesses Him, for it reflects His heart. This post first appeared over at Remade Community here.